Korean manufacturer LG has a unit that makes displays. The company has contracts to supply some of the biggest handset and tablet manufacturers in the industry such as Apple, and of course, LG to name a pair. At this year's CES, the company will showing off a wide range of panels. One we're looking forward to seeing in use has a 4.7 inch screen and a bezel just 1mm thick. This should lead to smaller 4.7 inch smartphones. It is believed that this display will weigh in at 720p. 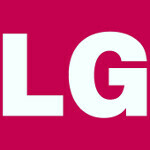 LG is also going to (groan) display a 5.5 inch screen with 1080p resolution and a pixel density of 403ppi. That is well past Retina display territory and could mean that more 5.5 inch phablets are on the way. For the tablet producer, LG has a lovely 7 inch screen with resolution of 1920 x 1200, higher than what the current 7 inch tablets are (groan II) displaying. With a 324ppi pixel density, this panel will be used for premium 7 inch slates. Pixel density is going up, based on LG's panels. And overall,that is good news for all of us. LG :/ not interesting news. A 4.7 inch screen and a bezel just 1 mm thick. This should lead to smaller 4.7 inch smartphones. Finally someone is thinking . LG focuses on hardware a lot, but sometime they need to focus on their software as well. Like timeliness of update for their phone. Both parts need to work together for a good phone.